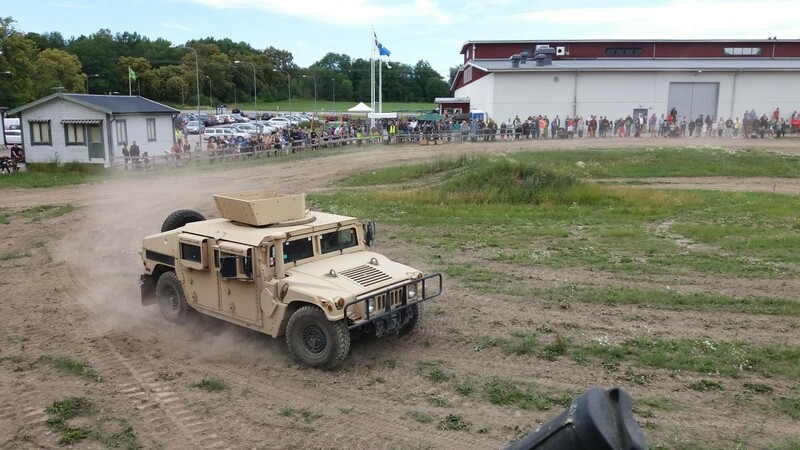 On the menu were Humvee, Infanterikanonvagn 103 (Ikv 103), Stridsvagn 103 (Strv 103) and Stridsvagn 104 (Strv 104). 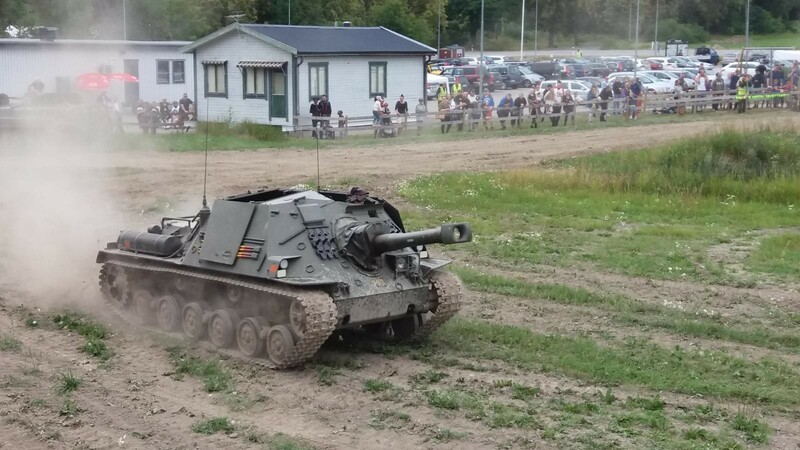 Also out for foraging were the Pansarbandvagn 501 and 302 taking passengers for funrides. For smaller visitors we had a couple of Funtraks to be driven by themselves in an enclosed area. 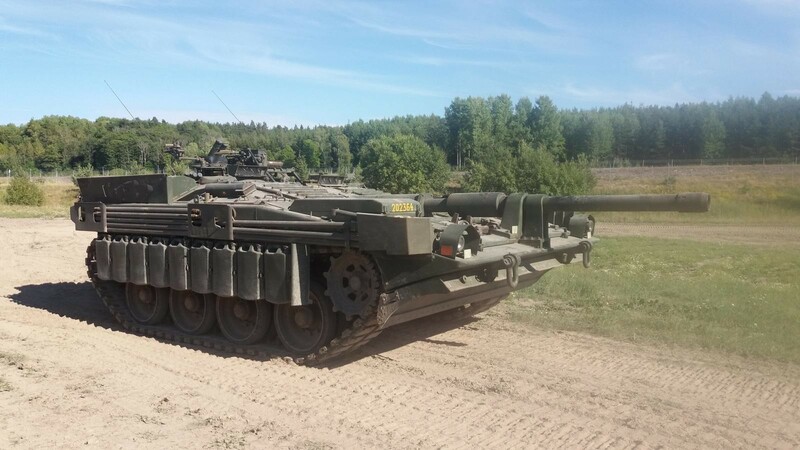 This was where I spent most of the day (when not being up in the turret of the Strv 104 Centurion) instructing kids and keeping parents away from interfering. To make the feeling of battlefield complete there was also a helicopter taking passengers around. The MASH feeling was complete when the Pbv 501 was passing by at high speed ripping up a lot of dust and the helicopter swooped at low level while the Funtraks were making their way around the area. Looks like a “roaring” good time, my friend. Thanks for sharing. Yes, Craig, roaring might be a good description for a day like this. Thanks for your comment. Very cool, especially for the kids! Yep, kids loved it as some of the parents. If too small they had to have a parent to ride with them, as seen in the opening photo. An interesting observation is that most girls were much more mature in the handling right from the start. Many boys, however, was a bit cocky at the beginning then freaking out a they realized the handling took a bit of delicate movements with the stearing levers. Just love how a frown changes into a grin as a kid is getting into the handling of a mini tank. There are turrets for them but they just get into the way as we have a change of driver every 5 minutes. 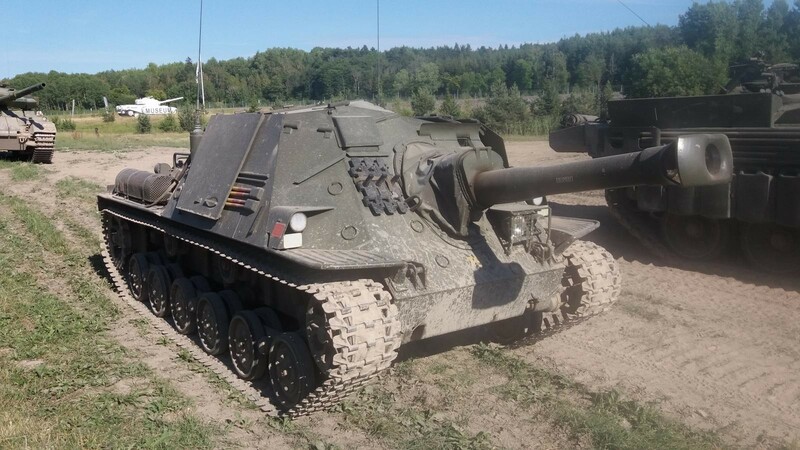 Had a look at drivingtanks.com. 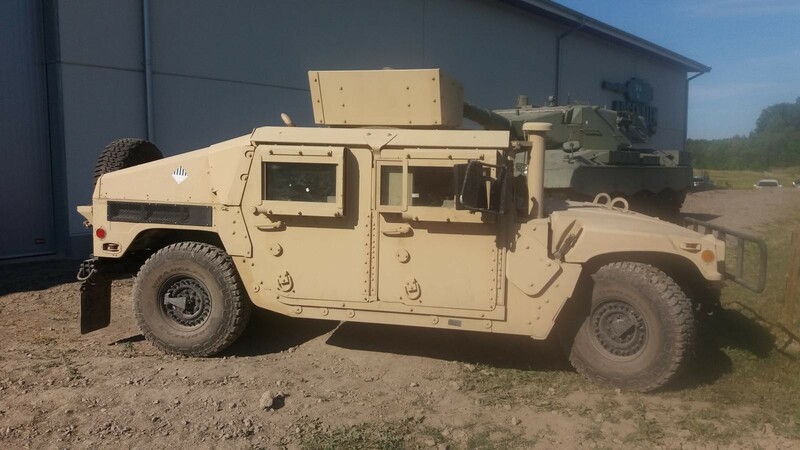 OMG, they have live firing and driving tanks AND animals in the same area?! Yes, but the animals are safe. They keep them off the range. But the noise, man, the noise! I bet you mean the Ikv 103. Not an L, it´s an I. Fun fact about the Ikv 103: it has a 4 cylinder air-cooled boxer engine, making it sound like a heftier VW Beetle. The engine was originally produced by Svenska Flygmotor for the Saab Safir aircraft but the engine chosen for the Saab aircraft in the end was an Lycoming. Looks like a lot of fun! Is #5 known the ‘S’ tank? It is a lot of fun! Yes, photo nr 5 is the tank sometimes called the “S” tank. The S come from the different options that were looked into at the time, S for Sweden. The other options were “T” for a German/French tank and “A” for an Anglo/American tank. I recognized it as part of Aurora’s old line up. 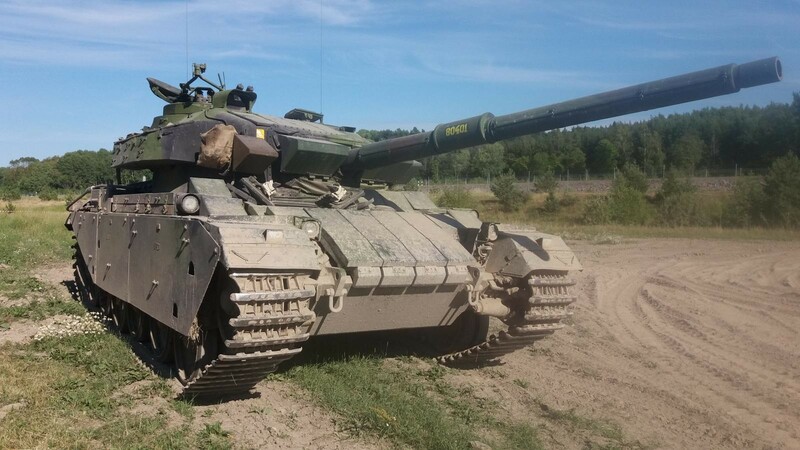 Yes, the Ikv 103 was developed around the same ideas as many Soviet turret-less armoured vehicles. It was extremely light and small. 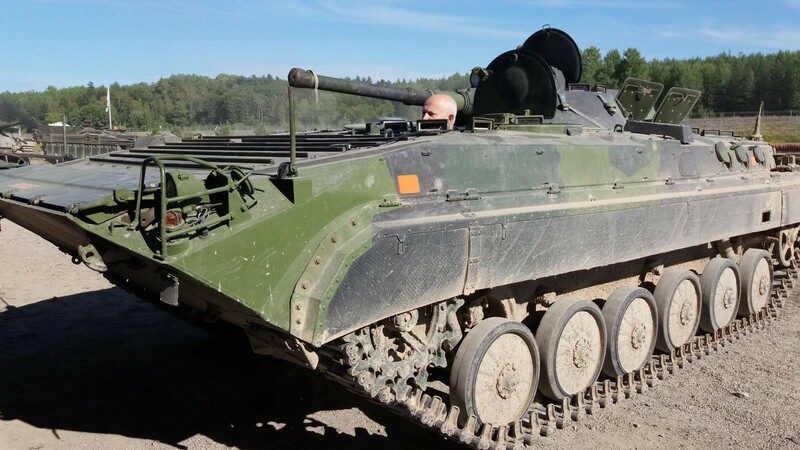 The Infanterikanonvagn, or Ikv, is a lightly armoured but heavily armed assault vehicle carrying a 10,5 cm gun to support infantery. 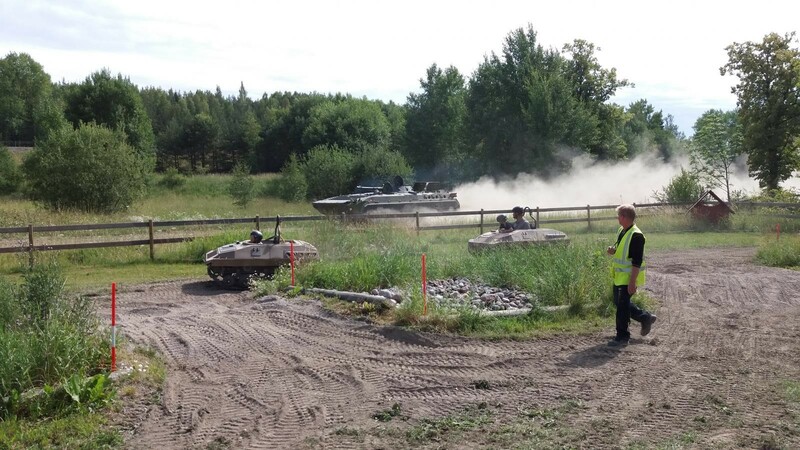 However, the only Soviet vehicle rolling this weekend was the Pbv 501 on photo no 4, in Soviet use it was known as BMP-1. Sweden bought a bunch after the unification of Germany.